The DNC is in BIG trouble. DNC Chairwoman Debbie Wasserman Schultz did her best to pretend that every decision she makes isn’t completely bound to the reputation of the Democratic Party on Sunday when she went on CNN and acted as if her support for the Iran Deal was so difficult that it was bringing her to tears. Give me a break. There is no doubt that this deal not only betrays Israel, but that every single Democrat who supports the deal has pledged unwavering allegiance to whatever the President of the United States says they should. To pretend that she was so conflicted on whether to support the deal that it brought her to tears is simply an outrageous attempt to pander to the Pro-Israel lobby which will surely be upset that she supported this deal that is awful for Israel in every way. 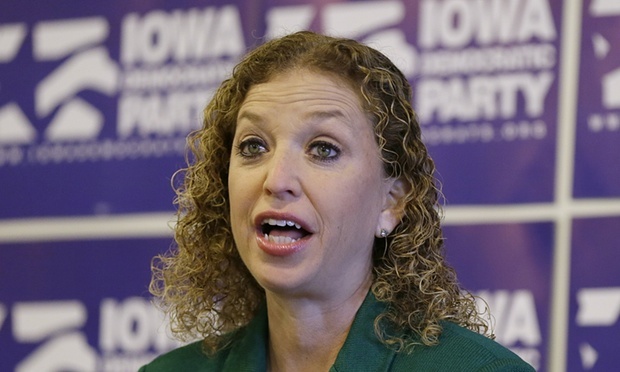 Between this display, the socialist incident, and the fact that the DNC is broke, it appears very likely that DWS won’t have the job as leader of the Democratic Party much longer. Much to the chagrin of conservatives across the country. I believe it has been mentioned elsewhere that this “deal” will ensure that Iran’s quest for a nuclear weapon is curbed for 10 – 15 years. Basically what we are being told is that our so-called leaders in Washington are playing a game of kick the can down the road with an America and Israel hating nation. What they are truly saying is that this administration has no respect or fear from Iran and they are just going to push this along until someone gets in office who will demand respect from and be feared by Iran.